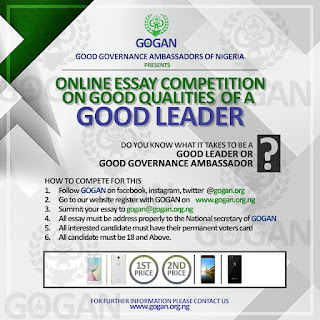 Good Governance Ambassadors of Nigeria (GOGAN) today announced its essay writing competition for Nigerians with the chance to win brand new smartphones. 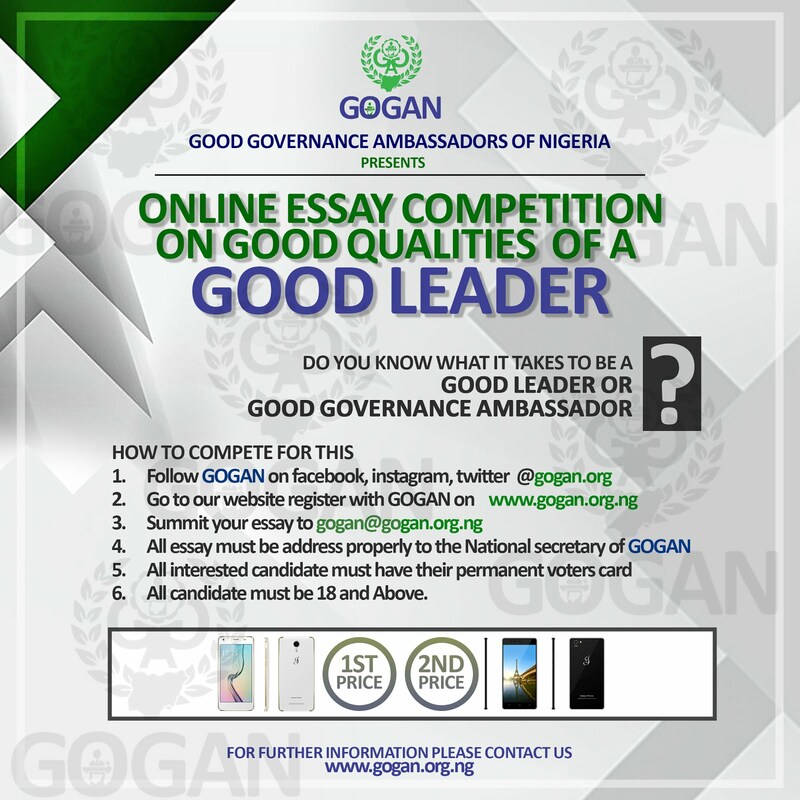 The essay writing competition, which is organized by Non-Governmental Organization named GOGAN is opened to Nigerians above 18years and Permanent Voters Card holders across the state. 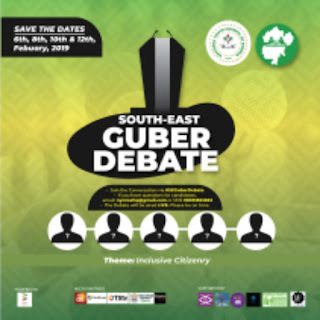 According to the National Chairman of GOGAN, Chief Felix Idiga, the nationwide competition will bring together Nigerians from all over in an intellectual bout that challenges them to develop smart solutions and unleash hidden potentials that will project good leadership in the country. He said: "The winner will be celebrated and rewarded openly, because we want to reverse the horrendous poetry that celebrates bad leaders above those who are studious and focused on changing the perception of leadership in the country." 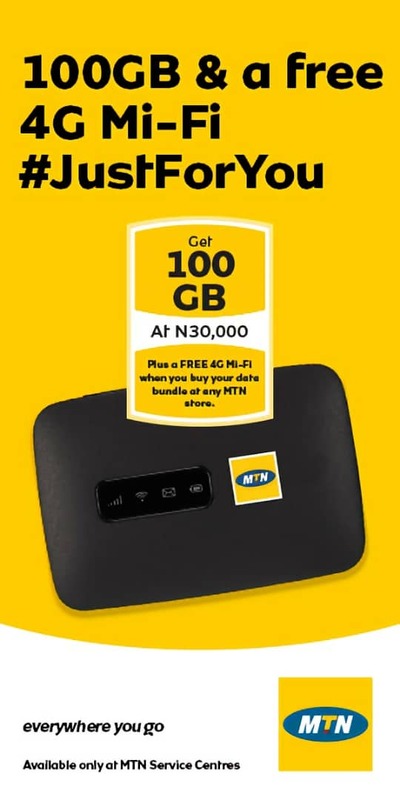 The not more than 500 words essay topic for a brand new smartphone win is – Qualities of a Good Leader and entries for this prestigious essay competition will end on the 30th August, 2018.